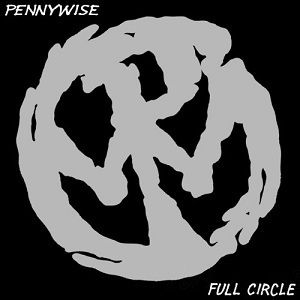 Full Circle is the fourth full-length album by the punk band Pennywise. It was released on April 22, 1997 and was digitally remastered on March 8, 2005 on the original label. This is the first Pennywise studio album to feature Randy Bradbury, who replaced bassist Jason Thirsk, who had committed suicide on July 29, 1996. The entire album was dedicated to the memory of Thirsk, who had been a key song writer for Pennywise until his death, and a close friend of all of those in the band. There had been a delay between 1995's About Time and the recording of this album, which occurred in the fall of 1996. During the About Time tour, founding member Jason Thirsk took a hiatus from Pennywise to try to control his then-growing alcoholism. One Hit Wonder bassist Randy Bradbury, who had contributed on the band's 1993 album Unknown Road, stepped in. When Thirsk returned briefly on bass in 1996, Bradbury was supposed to switch to rhythm guitar; unfortunately, Thirsk died of a self-inflicted gunshot wound on July 29th of that year at the age of 28. His death nearly delayed the production of the fourth Pennywise album. Pennywise was shaken by Thirsk's death; however, they decided to continue performing, thus adding Bradbury as Thirsk's permanent replacement. The band finally returned to the studio in the fall of 1996 to begin recording the follow-up to About Time. The lyrics of the song "Bro Hymn (Tribute)" reflects the somber feelings that the band had after Thirsk's death.